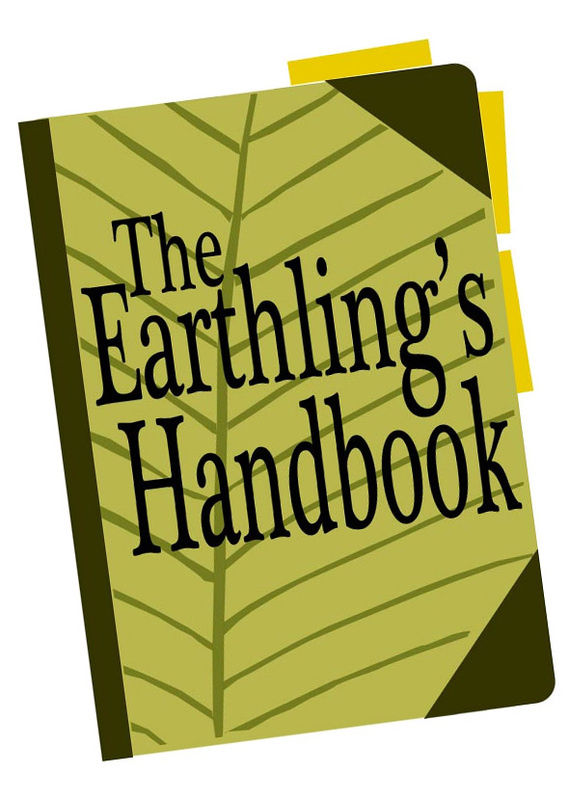 When we began thinking about what to put in the Wisdom section of The Earthling’s Handbook, I realized that many of my most valuable lessons and most cherished beliefs come from my parents. I may have complained about them a lot when I was a teenager (who doesn’t? ), but as an adult I’ve found myself repeating many of the things my parents used to tell me. They may not be perfect, but they’ve taught me some important lessons. Therefore, in honor of Father’s Day 2001, I decided to share with other Earthlings some of the most useful things I learned from my dad. Different people like different things. This applies to everything from lollipop flavor preference to clothing style to sexual orientation. Everyone has individual preferences. Respect them, even if you don’t understand them. Divide your money as soon as you get it. Dad taught me to divide my allowance among three piggy-banks: “Spend” was the money I could use for anything I wanted, “Save” had to be put aside for later, and “Share” was for charity. I now divide my salary in Quicken into these three categories. This way I always have money in reserve when I want to buy something big (I paid in full for a new car when I was 24), and I always can afford to support the causes I think are important. Save money so you won’t have to borrow. Interest charges make things cost much more in the end. If you buy something you can afford instead of something that requires a loan, you save some money up front and a lot more by avoiding interest. Every time you do that, you increase your ability to afford the next thing you need. Because our middle-class parents had no debts and plenty of savings, my brother and I didn’t qualify for need-based college aid. At the time, I was really irritated by that–families who hadn’t bothered to save were being rewarded, while we got nothing! After graduation, though, those people had to pay back their loans. The parents paid less, but their kids started into adult life thousands of dollars in debt! Free of this handicap, I was able to start building my savings even in my low-paying first job. A good education is worth the price. A low-priced alternative is no bargain if it’s also low-quality. There are many excellent colleges with relatively low tuition. But your choice of college affects so many aspects of your life–what you learn, how you think, who you know, what you do after graduation, who you are–that it’s vital to choose the school that suits you best, even if it’s expensive. My education at Carnegie Mellon cost about $90,000, but it was worth every cent! It is by far the best material gift I have ever received. Water is your active ingredient. When you feel thirsty, always drink a glass of water before having any other beverage; water is absorbed faster by the body and quenches your thirst better. Fill up with water before exercising or going out in hot weather, and you’ll last longer before feeling tired. When you get drowsy at work, drink water to perk up a little and delay that next cup of coffee. And if you find yourself in a motel with no food, and you’re too hungry to sleep, drink a glass of hot tap water–it may taste strange, but it’ll make you feel as if you’ve eaten something. Don’t do that just because you can. There are a lot of things you could do, often without any obvious negative consequence, that aren’t things you should do. You can smash the plastic dolls against each other all day without breaking them–but are you really having fun? You can swallow gumdrops whole without choking–but do they still taste good? You can stay up all night watching TV and still get to work on time–but did you see anything worthwhile? By saying, “Hey, don’t do that just because you can!” Dad got me to stop and think whether there was any other reason I was doing it. Sometimes there was, and the experience was enriched by my deeper understanding of its value. Other times there wasn’t any good reason, and I moved on to something more useful. By getting me to think about it, instead of just telling me not to do it, he helped me learn how to make decisions on my own. Computers are fun and useful. We had the first home computer in our neighborhood–an Apple II in 1977, when I was four years old and Ben was two. It was Dad’s hobby, but from the very beginning he tried to interest us in the computer and find ways we could use it. He wrote games especially for us and gradually introduced us to different types of software. At first I resented the computer because my friends were so enthralled with it that they would play with Dad and the computer instead of with me! Over time, though, I grudgingly admitted that it was a useful tool. Without Dad’s insistence, I wouldn’t have learned to touch-type, and I wouldn’t have had the general computer savvy that enabled me to leap right into computer drafting, 3-D modeling, e-mail, database creation, and the data-management job I have today. There are still some things I prefer not to computerize, but it’s not because I’m afraid. Thanks, Dad!